Taylor 615ce - "Wonderful instrument." Washburn J12S - "very unique"
Lowden G9 - "Amazing guitar!" Martin & Co OM-28V - "Simplistically Great!" 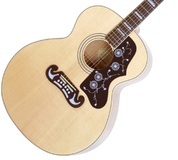 Epiphone AJ-220S - "Epiphone AJ220S"